Organized about 1865, this congregation held its early services in a nearby brush arbor and built a permanent sanctuary here soon afterwards. The original building was torn down in 1918 and the lumber used to construct the new one, which still stands. 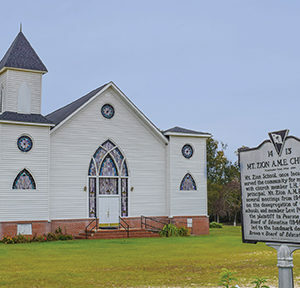 Church member I. S. Hilton served as principal of Mt. Zion School, which once stood nearby. 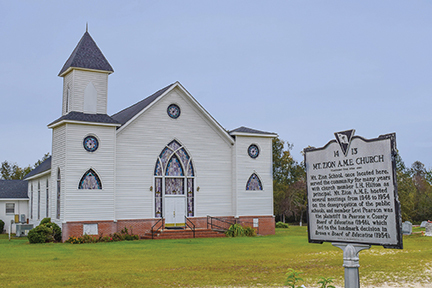 From 1948 to 1954 the church hosted meetings on the desegregation of public schools, and member Levi Pearson was the plaintiff in Pearson v. County Board of Education (1948), which led to the landmark decision in Brown v. Board of Education (1954).